ContiPower is a leading supplier of high-voltage electrical supplies and provides quality engineering consulting and management. In addition to being a leading supplier of high-voltage electrical equipment, ContiPower also provides quality engineering, consultancy and management services. Established in 2006, the company continues to build on its strong reputation in the power and energy sectors, rivalling local and international industry players. Its management and staff work relentlessly to maintain its status as a preferred supplier to key stakeholders across various industries while growing the company’s market share and customer base. The company is currently developing innovative projects within the fields of co-generation and renewable energy. ContiPower was founded by highly skilled and influential black professionals and is now a Level 2 BBBEE contributor. What’s more, its product offerings are designed, manufactured and tested in accordance with high international standards. The company prides itself in meeting tight delivery schedules, providing price-competitive products and offering professional responsive engineering consultancy/project management services. The company’s power transformers are designed using the latest technologies and manufactured under the strictest focus on product quality to ensure superiority. The research and development support it receives from their technology partners means their power transformers meet international standards and are fabricated to meet even the most stringent customer specifications. From design to transportation and commissioning, ContiPower guarantees product quality and support during and beyond any warranty periods. The range includes single- and three-phase transformers, auto-transformers, generator step-up transformers and dual-voltage transformers. 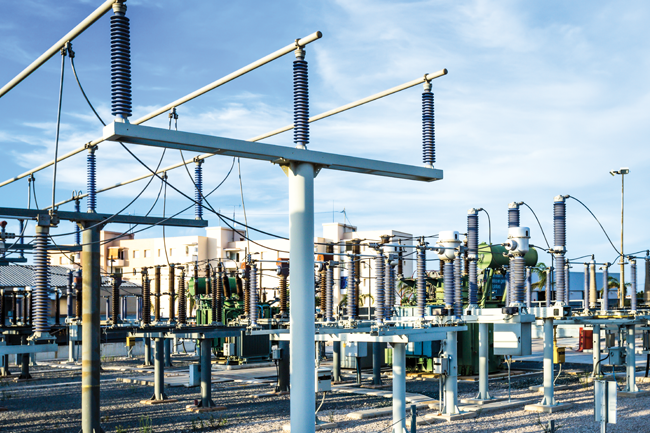 ContiPower’s distribution transformers fall under the cast resin dry type range. They are specifically designed to be durable and suitable for a wide range of weather conditions as well as adverse conditions. The transformers are rugged and able to withstand jolts in excess of 3G, making them suitable for heavy industry and ideal for application on large mobile equipment. Travesca is a range of dry insulation resin-impregnated paper. The insulation is directly on the conductor or tube and consists of wrapped paper dried under a vacuum and impregnated with epoxy resin. Conductive grading layers are embedded during the wrapping in the insulation and this guarantees the highest operational and human safety. With more than 45 years experience, Moser-Glaser invented resin-impregnated paper technology – a process designed to insulate electrical conductors for bushings and busbars in middle- and high-voltage applications. This technology was patented and protected under the name Duresca and applied in the manufacturing of these bushings. GasLink is an SF6 gas-insulated busbar system for medium- and high-voltage applications, as well as for totally enclosed medium-voltage equipment. It has modular construction elements that allow individual solutions for any compact medium-voltage equipment, and consists of aluminium/copper conductors interconnected by type-tested high-current plugs. Universal angle-type cast-aluminium housings allow changes of direction and branch-offs in all three dimensions, and GasLink has excellent sealing, guaranteed by special SF6-proof o-rings inserted in specially designed grooves. This guarantees a maximum leakage of no more than 0.5% per year. Tiresca is a range of insulated busbar systems (up to 3.6 kV) that consist of vacuum-cast epoxy resin along the entire length of the bar. The insulation is covered by a corrugated polyamide protection tube, providing an effective barrier against moisture ingress and good protection against shocks. It is also UV radiation resistant. Single bars are manufactured in lengths of up to 10m. For longer bus runs or in tight conditions (where only short pieces can be installed), the single busbars are joined together on site. ContiPower has an EPC division that offers services in the design, manufacturing and construction of transmission lines. It is actively involved in electrification projects in Uganda and Mozambique. The company constructs transmission lines of up to 400 kV. The firm is also entering the steel manufacturing and fabrication space. This will support the transmission line divisions and ensure high-quality fabrication through vertical integration. ContiPower’s involvement in the renewable energy space includes the development of waste-to-energy, co-generation and solar (thermal and photovoltaic) energy solutions. To date, ContiPower has developed a pipeline of bankable projects, particularly solar energy projects, which include rooftop, ground-mounted (small and utility-scale) and hybrid PV systems across sub-Saharan Africa. Small-scale embedded generation (SSEG) is proving to be an optimum energy solution for the future of the sub-Saharan Africa electricity supply industry. As such, ContiPower’s model of operation is built around energy advisory services and sustainable development. The company specialises in developing, designing, financing, constructing, commissioning, operating and maintaining solar technology solutions, co-generation solutions and waste-to-energy solutions. These solutions are targeted at power utilities and municipalities, commercial and industrial sectors, as well as the mining and agricultural industries. ContiPower supplies low-voltage switchgear and control panels, all manufactured in accordance with the requirements of the application sections of the SANS1973, SANS60439 and SANS61439 criteria. CAD diagrams for the above. Disconnector switches, disconnectors and earthing devices (12–38 kV). Steel fabrication (transmission lines; mast and poles).